Apartment is a scenario-installation. 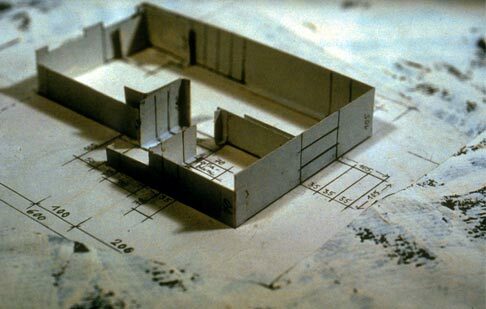 It extracts, in its true dimensions, the plan of a functional apartment, as designed by Bauhaus and promoted by the Functionalists. The intent of Apartment, representing our daily housing standard, is to provoke and to challenge other highly structured architectures through various displacements. 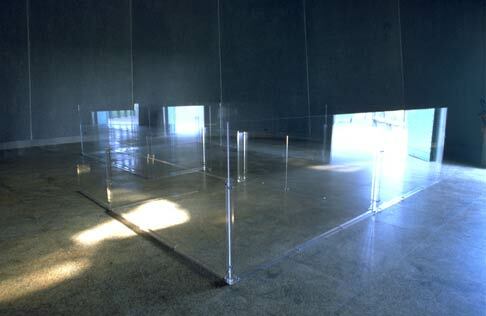 It is made out of plexiglass (3.5’ high x 20′ x 13’). Most of the apartment walls are built at a hight of 3.44 feet (the international standard height for parapets). 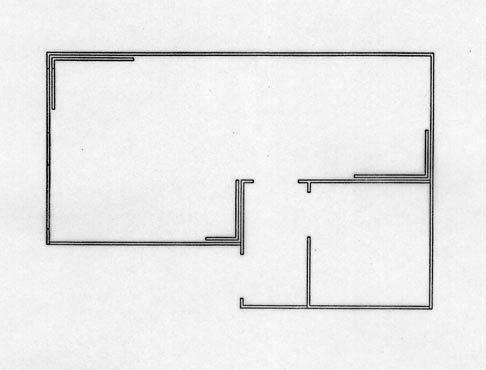 This height disperses the visitor into three positions at once: inside, outside and above (over the drawing of the plan). 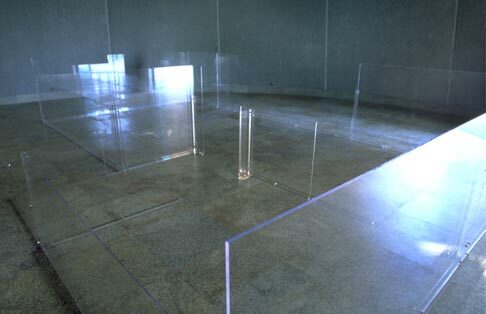 Due to the transparent plexiglass, the gaze that attempts to read the layout constantly escapes, only to clash against the real walls which contain the work. The visitor is thus implicated within two plans at once, the one presented in the work and the other in which he or she is actually located. The body measures itself against one space, then with the other, to grasp the limits that rearrange themselves on complex planes. 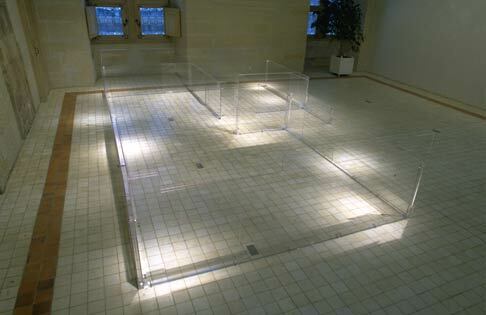 – Produced by the Centre d’Art Contemporain de Vassiviere and the Conseil Regional de la Haute-Marne. • Centre d’Art Contemporain de Vassiviere, France, 1996, built by Aldo Rossi. • Château du Grand Jardin in Joinville, France, 1997, a Renaissance Castle. • Kunsthalle Bern, Switzerland, 1998, a neo-classical building. • Stadthaus Ulm, Germany, 1999, a new building by Richard Meier. • Centre d’Art Contemporain de Pougues-Les-Eaux, France, 2000, an 18th Century building that was a glassworks factory.